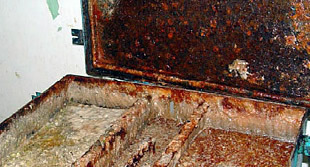 Grease and organic solid build-up can lead to system inefficiency. Build-up on tank walls and pipes can reduce the system’s ability to handle incoming wastewater, as well as cause backups and system failure. Removal of grease and solids requires scheduled pumping with associated service and disposal fees. These services can become costly depending on the size of the system and the frequency of the pumping. Eco-Logical Tablets provides oxygen, nutrients, buffers and billions of bacterial spores per gram; creating an environment that encourages the aerobic degradation of grease and solids. When applied regularly, our tablets effectively breakdown existing grease and prevent further solids formation. 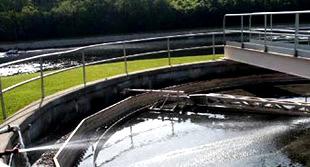 Hydrogen sulfide, a by-product of anaerobic degradation, is a noxious, colorless gas with an odor similar to rotten eggs and is one of the most recognized odors associated with wastewater. When hydrogen sulfide is trapped in an enclosed area (force main, tank, etc.) it can form sulfuric acid, which will corrode tank walls and pipes, eventually leading to system failure. Eco-Logical Tablets create an environment that prevents anaerobic degradation and the creation of hydrogen sulfide. 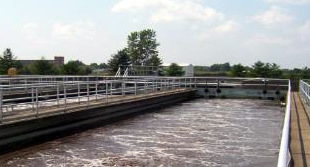 When applied regularly, the tablets oxygenate the wastewater and create an environment where billions of bacteria spores can grow and begin to efficiently breakdown waste. The by-product of aerobic degradation is carbon dioxide, a non-toxic and odorless gas. Fats, Oils and Grease (FOG) represent a large problem for many cities & municipalities across the country. Improper disposal of FOG into drain and sewer lines can cause sewage to backup into basements of homes and businesses. Sewer systems, treatment facilities, lift stations, collection and wet wells also become adversely affected. To work effectively, these systems need to be properly maintained and treated. One of the easiest and cost effective solutions for FOG problems is using Eco-Logical Waste Water Treatment Tabs. increased efficiency and lower operating costs.